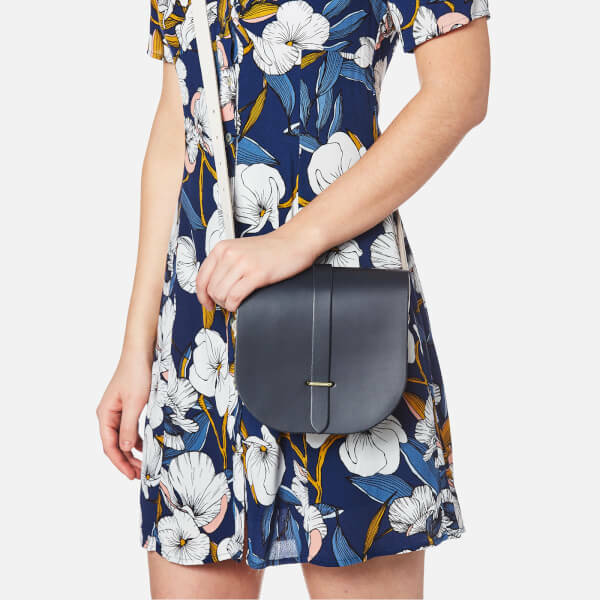 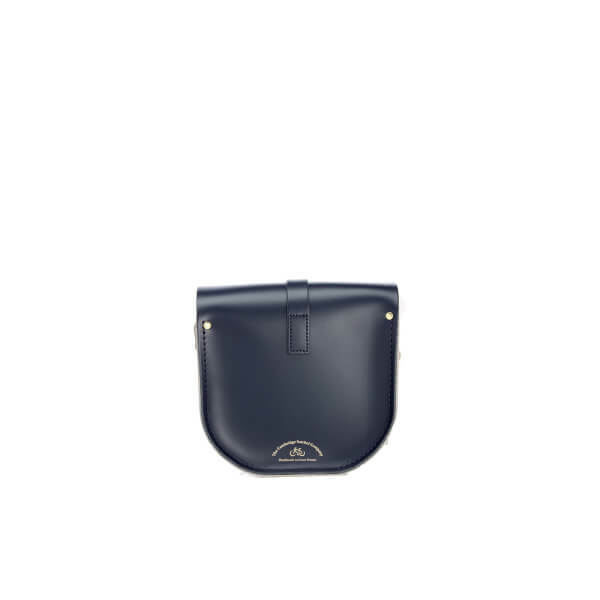 Women’s classic saddle bag from The Cambridge Satchel Company. 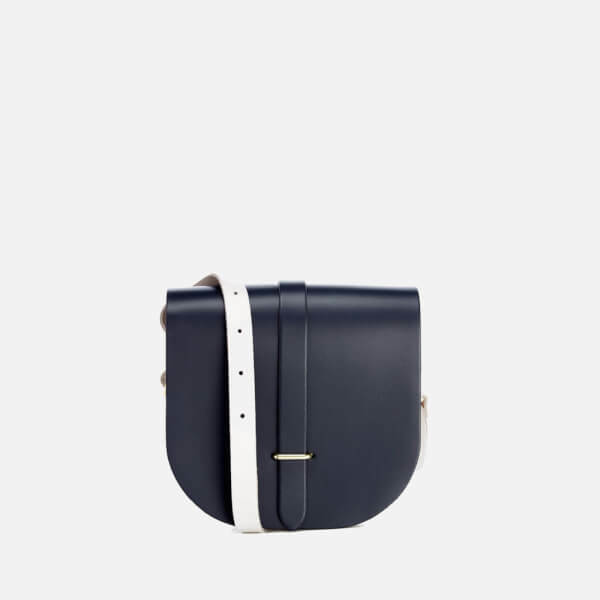 Handcrafted from navy and white leather, the colourblock bag comprises a fold over front with a leather tab closure and opens to reveal a spacious interior. 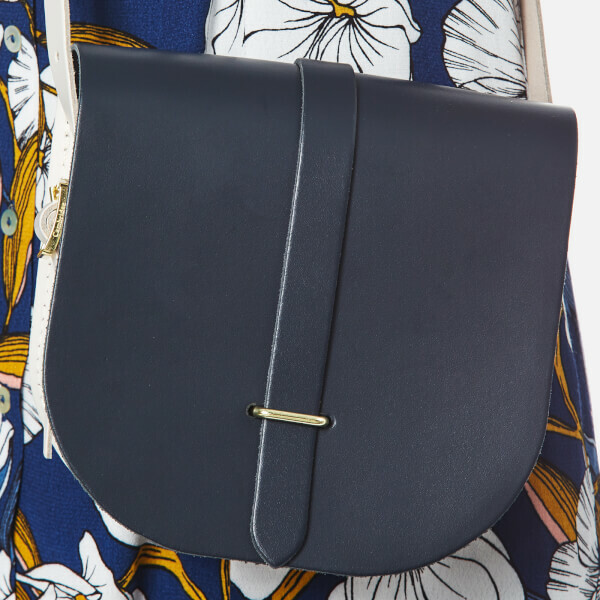 Transported via an adjustable cross body strap, the saddle bag is complete with gold-tone hardware and the signature The Cambridge Satchel Company logo adorned to the reverse.